We have already profiled 18 of the featured entries - see Part 1, Part 2, Part 3 and Part 4 - and today we profile the next seven. Dragonfly was invited to work on the project for Workplace - a new co-working company based in Manchester - in July 2015. It's the first of many which the Workplace team want to open across the country and occupies a 8,300 sq ft space in Churchgate House on Oxford Street. 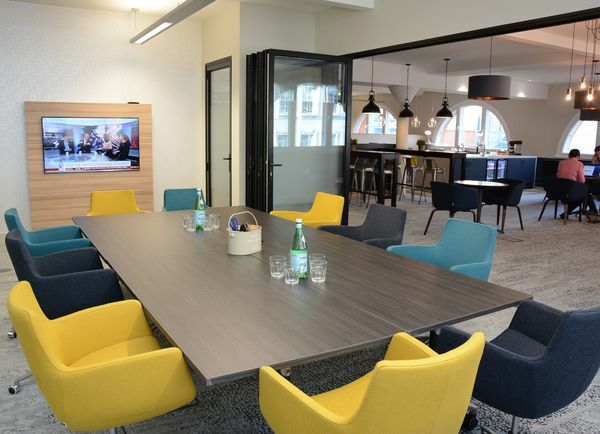 Members sign up on a month-by-month basis and can choose from private self-contained offices, private desks in open spaces, hot-desks or a business lounge. Dragonfly was specifically tasked with focusing on bespoke joinery items, furniture designs and finishes, taking just seven weeks to complete the job in time for launch in October 2015. 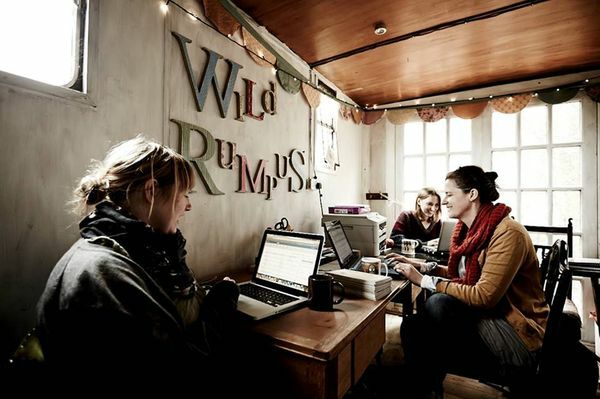 Wild Rumpus CIC is based at The Whirligig, a beautiful four-acre woodland on the Rode Hall Estate in Cheshire, and a stone’s throw from the Just So Festival it produces annually. 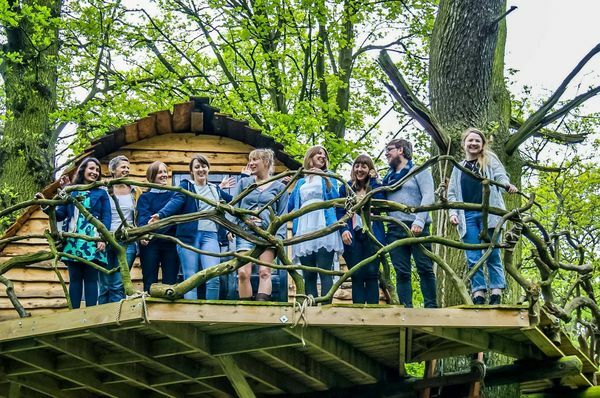 Since moving to the site in March 2013, the company has gradually added more spaces including a converted horsebox, shepherd’s huts, vintage caravans, roundhouses and a specially commissioned tree house meeting space. "We can have meetings walking through autumn leaves, snowdrops, bluebells and in meadows, as well as snuggled up next to wood burners in winter," the company says. "Working there makes us happier, healthier, more creative people and changes the way we look at the world around us." 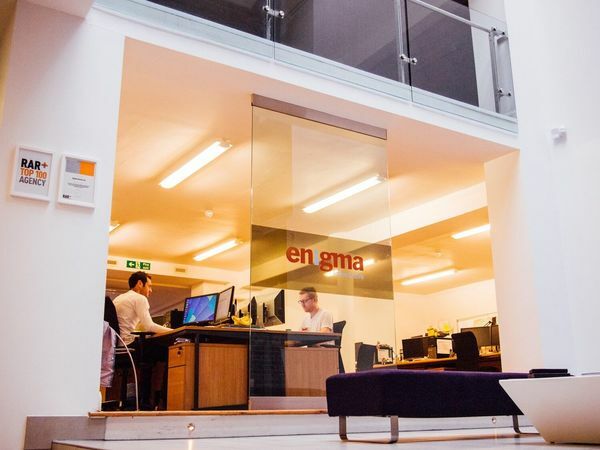 In 2009, after outgrowing several rented office spaces, managing director Steve Grainger led a £1million re-development of the Grade II Listed Mansion House Chambers, transforming it from a disused building into a modern, flexible office space, and Enigma moved into its new headquarters on Newcastle’s quayside in 2010. On the ground floor, there's a speak-easy style cocktail bar called Tiger Hornsby, and as well as the building's large open plan spaces, there are breakout areas, an impressive reception area and large meeting rooms with great views over the river Tyne and its famous bridges. "A lot of thought has been put in by our MD, his assistant and their architects as to how the building can best serve the needs of staff and the business." McCann moved to Bonis Hall in Prestbury - a Georgian Grade II-listed building with bell tower, oak-panelled rooms and "hot and cold-running ghosts" - in 1974. 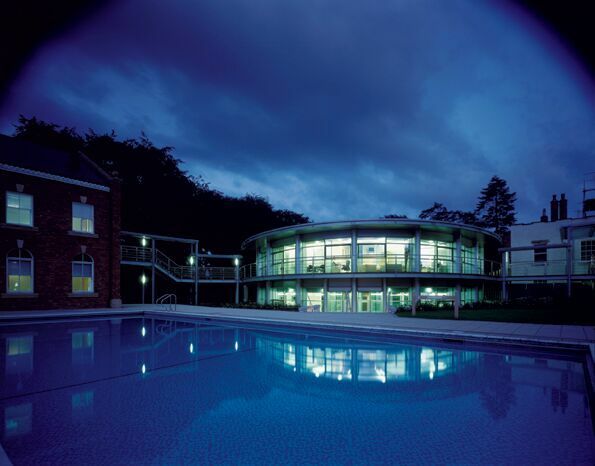 It's now home to 370 employees who enjoy their very own pub, gym and even a swimming pool. According to creative director Neil Lancaster, inside there are "lofty old rooms, bright soft-furnished areas, nectarine walls, a slate-roofed bothy plus what has to be said is quite a standard-issue, aluminium-floored creative department". He adds: "Remember that scene in Thunderbirds when the camera looks out over the rippling blue water of a swimming pool towards a futurist glass-and-steel man-pad? That’s where I work." 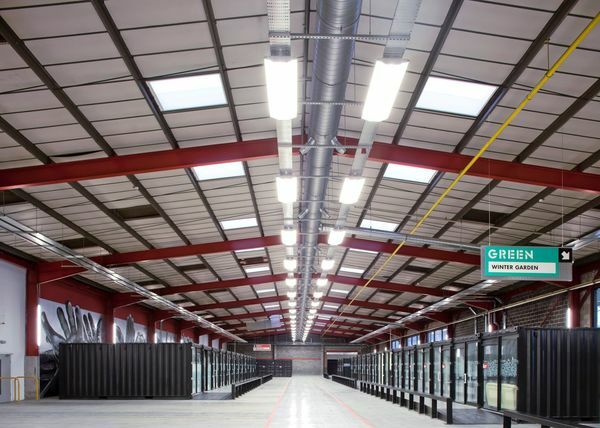 Home to 200,000 sq ft of space and over 60 creative digital businesses, the Manchester City Council-owned Sharp Project opened in 2011 and now employs 480 people on site. The building itself is designed for collaboration with The Campus communal space at its heart, where tenants’ work, network, socialise and meet with clients and colleagues. In the ‘Red’ area, two terrace rows of converted shipping containers provide affordable office space for a wide range of businesses, from games to digital forensics, video production to motion capture. 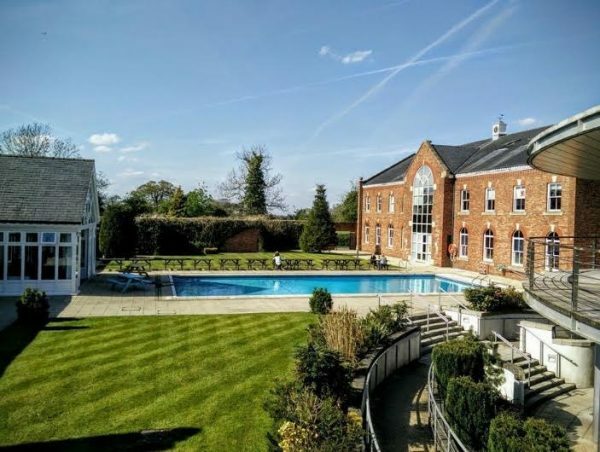 "It has its own unique style and despite being in a cavernous space, feels intimate, welcoming, friendly and unpretentious," says COO Rose Marley. 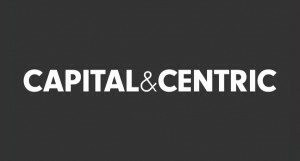 "It is edgy, determined and with a bit of Mancunian grit, enables start-ups and young businesses to turn risk into opportunity with an unfaltering confidence." MediaCityUK designed and introduced WorkNation in response to demand for more flexible spaces for creative individuals and contractors who visit MediaCityUK on a regular, but ad hoc basis. 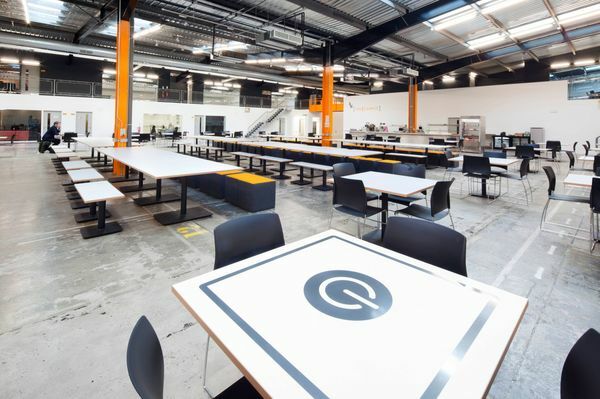 It sits within The Greenhouse, the SME hub at MediaCityUK, and features long benches, a fully serviced kitchen, smaller, relaxed breakout spaces in a bright, open-plan room. Motivational quotes and inspirational figures are featured on the walls for quirky, decorative effect. It’s a unique alternative for those used to working from the kitchen table or hot-desking in corporate, anonymous spaces. 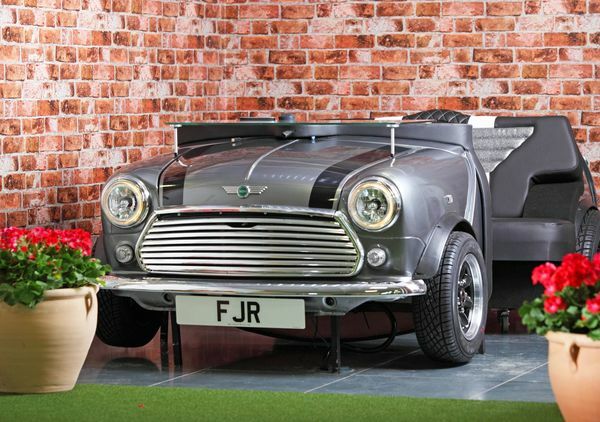 The FJ Garden is the communal meeting area and general reception for Frazer John, the Manchester-based recruitment consultancy. 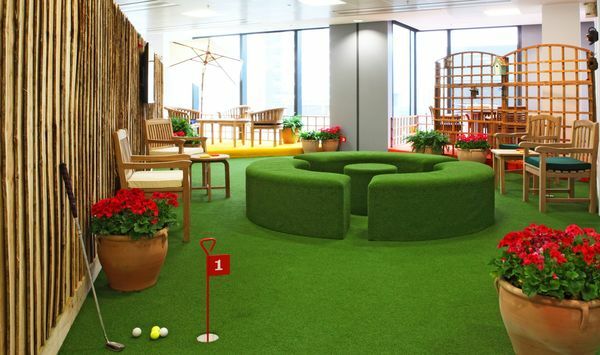 The space encourages staff to actually take a break - to get away from desks to play table football, golf, Xbox, socialise – and creates an enjoyable place to work and socialise with other people in the office. It also underpins the vision, mission and values of Frazer John and is "a daily nod to the passion and culture of the business". 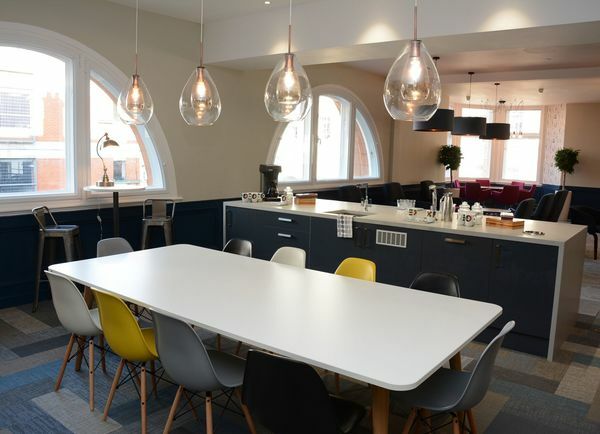 According to founder John Dyson, the rationale behind creating such a space was to develop a physical environment - in the city centre - that offered an area for breakout, meetings and refreshment. He says that all employees "are on the growth journey together and the space they work in is a huge part of that".